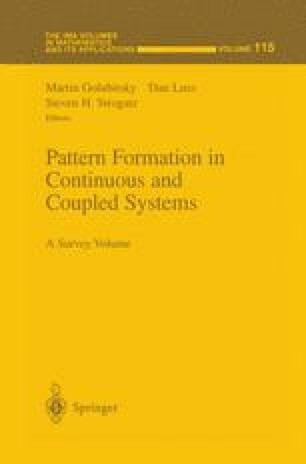 Recent results on the dynamical behavior of patterns in two and three spatial dimensions are reviewed. Based upon spatio-temporal symmetries of patterns, it is shown that transitions to other patterns can be explained by analyzing low-dimensional model equations. Examples include the dynamics of periodically forced twisted scroll waves and transitions from rigidly-rotating spiral waves to meandering or drifting spirals. Spiral waves twisted scroll waves Euclidean symmetry meandering, drifting.